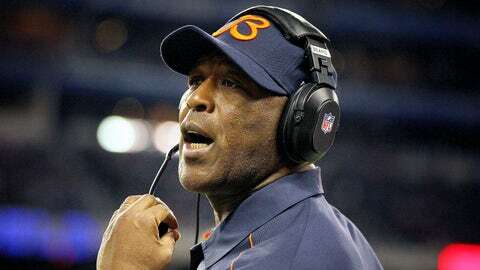 It was reported earlier in the week that Lovie Smith interviewed with the Texans. Now, we have more details. Smith met with the Texans for seven hours and the two parties have kept in touch all week, according to NFL on FOX insider Jay Glazer. Smith, who was fired in Chicago after narrowly missing the playoffs last year, looks to be one of the most experienced candidates a team could hire. Texans owner Bob McNair has said that he values a coach with NFL experience and Smith would certainly fit that mold. With an 83-61 regular-season record and multiple playoff appearances, Smith is one of the steadiest options for teams with a head coaching vacancy.